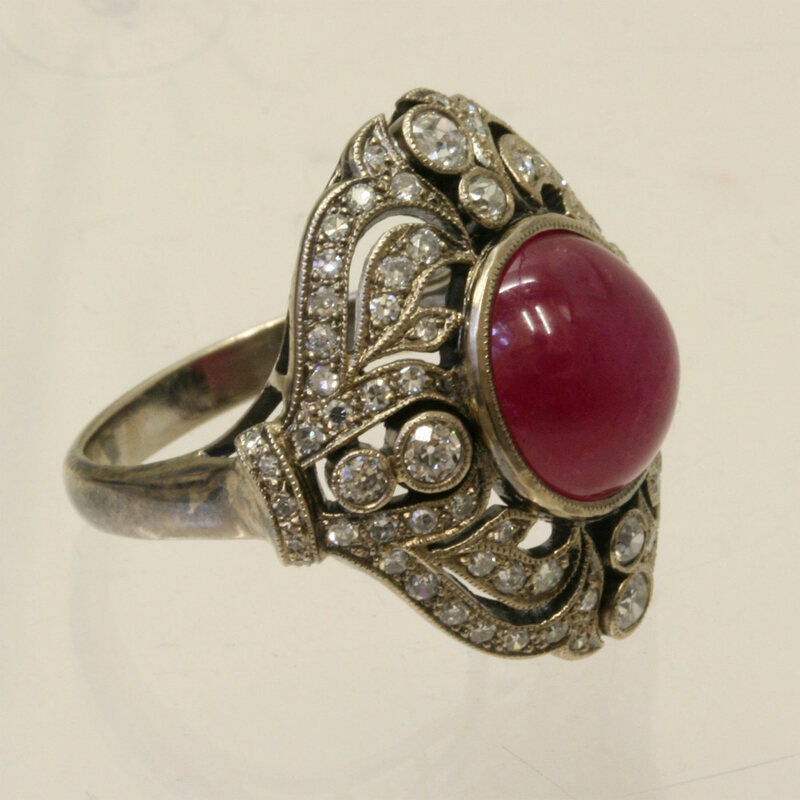 Cabachon ruby and diamond ring. Product code: 770 Categories: Sold Items, Sold Rings. Made in 18ct white gold, this ring is set with a 4.67ct cabachon cut ruby and is surrounded by a total of 78 diamonds in a fantastic antique style. It is set with 74 single cut diamonds and 4 old European cut diamonds, and the total weight is 0.62cts. The vibrant red of the ruby looks amazing day or night, and the attention to detail that this ring has will make anyone admire it close up.